Several key outages have left the oil markets anxious despite a promising start to the week. Analysts are keeping a close eye on both Nigeria and Venezuela as political instability threatens to impact supply further. - Brazil’s oil production surged this year, jumping to 3.3 million barrels per day (mb/d), up from 3.2 mb/d in 2016 – a figure that includes other liquids production. - The increase came largely from the pre-salt, which surpassed 1 mb/d in 2017, a sharp 33 percent increase from 2015 levels. - Brazil is now the 9th largest oil producer in the world. • Eni (NYSE: E) started production at its Zohr gas field in Egypt. Separately, the Italian oil company said that it restarted production at its Goliat field in Norway’s Arctic after a two-month outage. • Ecopetrol (NYSE: EC) announced its fourth oil discovery in Colombia this year. “This new discovery shows that we are on the right track to our objective of increasing reserves. We are satisfied with the results of this alliance with Parex, which has underlined the potential of Santander province," Ecopetrol CEO Felipe Bayon said. • Total SA (NYSE: TOT) announced a final investment decision for large-scale development of the Libra project in offshore Brazil. The project will consist of a floating production storage and offloading unit with eventual capacity of 150,000 bpd. 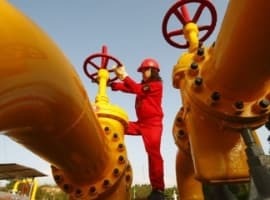 Oil prices initially rose on Monday on news that Nigerian oil workers went on strike, raising fears of a supply outage. The strike was called off, however, leading to a selloff in oil prices. But the lingering outage of the Forties pipeline continues to support Brent prices. Nigeria oil workers’ strike begins…and ends. A union for Nigerian oil workers declared a strike on Monday on demands for improved working conditions went unaddressed, raising questions about supply outages in the African nation. Last year, a strike at an ExxonMobil (NYSE: XOM) project temporarily idled more than 500,000 bpd. This week’s strike affected workers at dozens of oil companies. However, the strike was also called off on Monday as talks seemingly started to get somewhere, although details remain sparse. The issue is important for the global oil market – an outage at a major oil producing country could lead to sharply higher prices, particularly with the market making substantial progress at lowering inventories. Related: OPEC vs IEA: Who’s Right On Oil Prices? EIA: U.S. oil production to rise by 94,000 bpd in January. 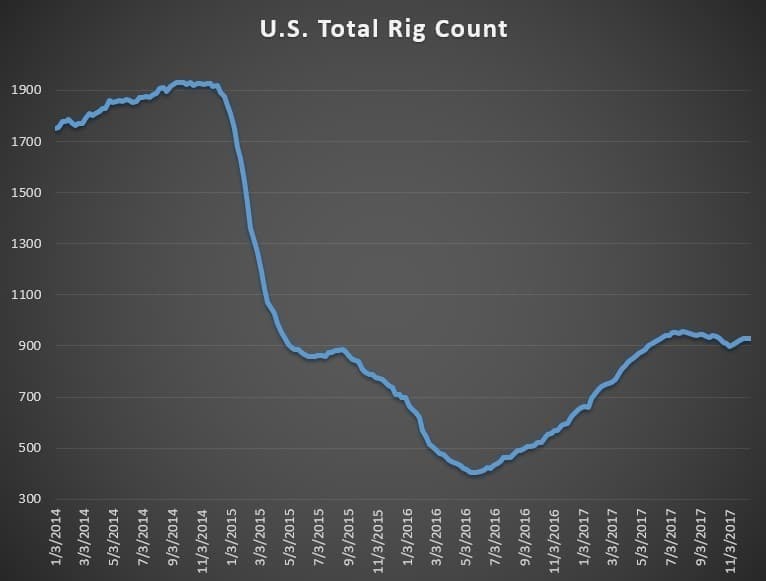 The EIA’s Drilling Productivity Report predicts a rise of 94,000 bpd in U.S. oil supply in January, compared to December. The gains will be led by the Permian Basin with a 68,000-bpd increase, with smaller contributions from other shale plays. 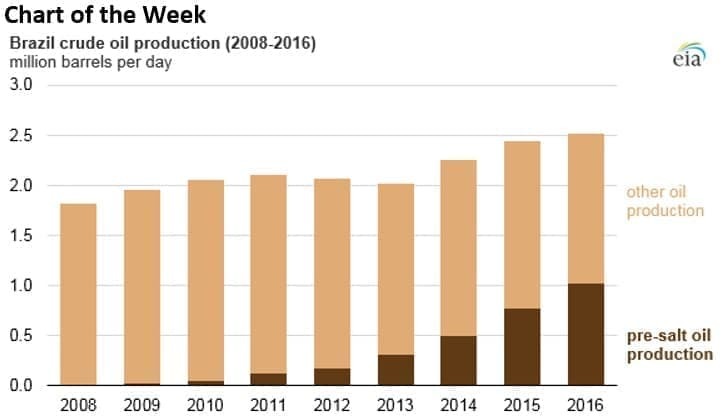 The estimate shows that U.S. shale (the Permian, mostly) is still growing strongly. Canadian oil prices plunge. 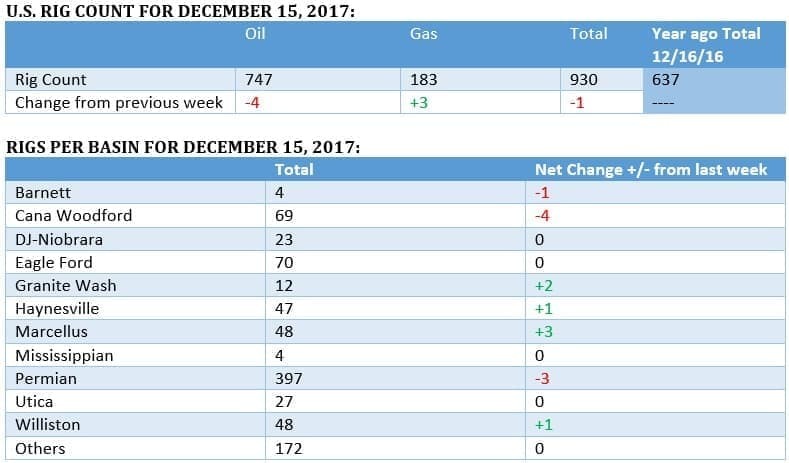 Western Canada Select prices have melted down this month, as rising supply is bumping up against a lack of pipeline infrastructure. WCS normally trades at a discount to WTI, often by $10 to $15 per barrel, but the discount widened sharply to as much as $28 per barrel in the last week. Alberta oil producers are suffering from this steep discount, and although crude is increasingly moving by rail (for a heftier fee), rail companies cannot entirely resolve the issue. Rail companies don’t want to make investment decisions that could span decades for a problem that might only last a few years. With new pipeline capacity a few years away at least, the steep discount for Canadian oil could linger for a while. The capacity shortage is expected to grow worse – Canada’s oil sands will add 315,000 bpd of new supply in 2018 and 180,000 bpd in 2019. Forties pipeline fix will take 2-4 weeks. Ineos, the Forties pipeline operator, said that it was moving forward with repairs and that it would take 2-4 weeks from December 11 to finish the job. Refiners set for windfall in GOP tax bill. The WSJ reports that the U.S. refining industry could save $1.5 billion in lower taxes in 2018 alone, due to the lowering of the corporate tax rate, among other perks affecting the industry. However, most analysts – and the companies themselves – believe the money will be redirected to shareholders in the form of dividends and share buybacks rather than spent on new equipment or new hiring. A Barclays analyst told the WSJ that the tax overhaul could add 20 percent to the earnings per share of U.S. refiners. Hedge funds boost bullish bets on oil. Hedge funds and other money managers boosted their bets on Brent crude to a record high, while WTI long bets were at a nine-month high, according to Bloomberg. The increase in net speculative length is notable given that major investors had already amassed a rather bullish position on crude futures, and some analysts wondered whether a correction was just around the corner. The outage at the Forties pipeline likely contributed to the increase in net length. Threat of supply outage in Venezuela larger than market thinks. Venezuela’s oil production could “plunge” in 2018, with losses likely to be much steeper than the market is expecting. "Given the severity of the crisis, we think market participants would be unwise to assume that Venezuelan production losses will simply mirror the several hundred-thousand barrels per day losses seen in 2014," Helima Croft, head of global commodity strategy at RBC Capital Markets, wrote in a research note. Politico: U.S. solar tariffs likely. 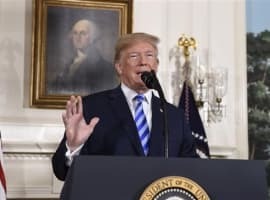 Political reports that the Trump administration is readying punitive tariffs on Chinese-made solar panels in response to a case brought by a manufacturer in the United States. Tariffs could derail the pace of growth of U.S. solar installations, the solar industry has warned. Warburg Pincus puts $780 million into shale company with no assets. In a sign of how aggressive private equity has moved into the shale sector, Warburg Pincus announced an investment of $780 million into ATX Energy Partners, a startup shale company that has no oil-producing assets yet. The private equity firm has past dealings with the CEO at ATX, and thus trusts the direction of the company. But ATX has not even outlined a precise strategy for the $780 million. The move highlights how aggressively private equity is moving into the shale sector as other traditional forms of lending and financing have grown more cautious. There have been more than $20 billion of private equity-led energy deals this year, an increase of 36 percent compared to 2016. Renewables spared from the worst in GOP tax bill. Some of the more damaging provisions to the renewable energy industry in the U.S. from the GOP tax bill were changed at the last minute, bringing sighs of relief to solar and wind companies. But not everything was removed. Bloomberg reports that some provisions affecting the tax equity market remain, and the extent of the impact on the renewables industry is unknown. 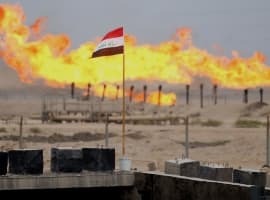 Iraq to protect oil pipelines with drones. Iraq’s oil minister said that beginning in 2018, the oil ministry will contract with security firms to use drones to protect and monitor oil pipelines in the country.